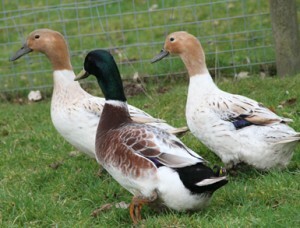 The Abacot Ranger is a breed of colorful, domesticated ducks from UK. 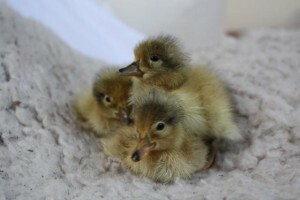 These hardy birds are usually bred for eggs and meat though, but are presently quite popular for exhibitions. Since these ducks rarely fly, they can easily be kept in spaces and orchards with short fences to protect from predators like foxes. 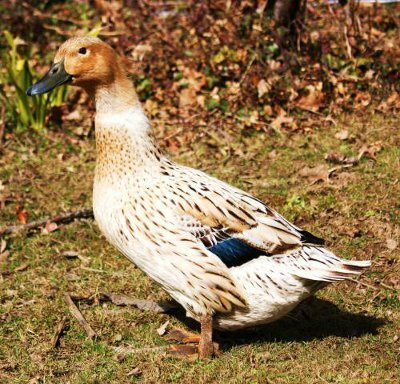 The Abacot Ranger was created in the UK between 1917 and 1922 by crossing Indian Runners with Khaki Campbells by Mr. Oscar Gray from the Abacot Duck Ranch, Colchester. He initially named them ‘Hooded Ranger’. 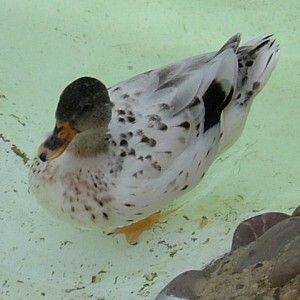 Later, in 1926, the ducks were imported into Germany via Denmark, where the breed was ‘stabilized’ as a color form by H. Lieker. It was eventually standardized there in 1934 under the name of ‘Streicher-Ente’ (Ranger Duck). The BWA (British Waterfowl Association) and the Poultry Club standardized these ducks in 1987. 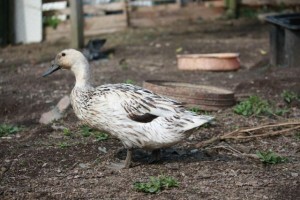 Abacots are very good egg layers, laying fairly large white egg almost the size of Indian Runner’s. 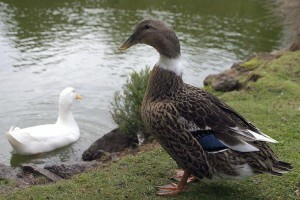 Normally, a healthy duck would lay around 180 to 200 eggs per year. 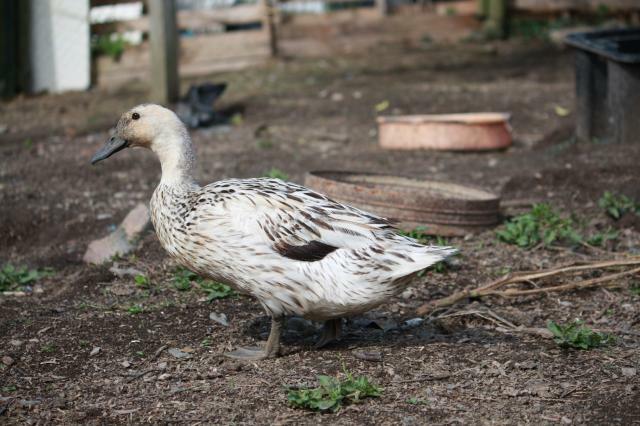 These ducks are also known for their good-quality, tasty meat. An average abacot ranger can yield 2-3 kg of flesh. Their old name ‘hooded ranger’ came from their fawn-buff feather ‘hood’ on the head. In German they have been nicknamed as ‘Liekers Streifere’, meaning ‘Lieker’s Ranger’ or ‘Scout’. 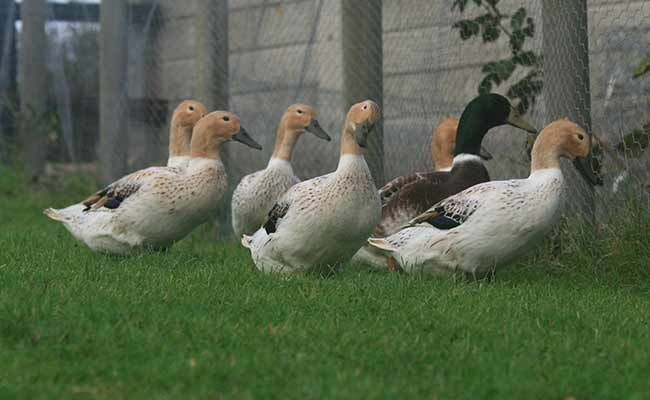 In 1922, in egg laying trials at the Wye College (UK), a team of 4 Abacot ducks produced an average of 233.75 eggs and stood first in the trials.